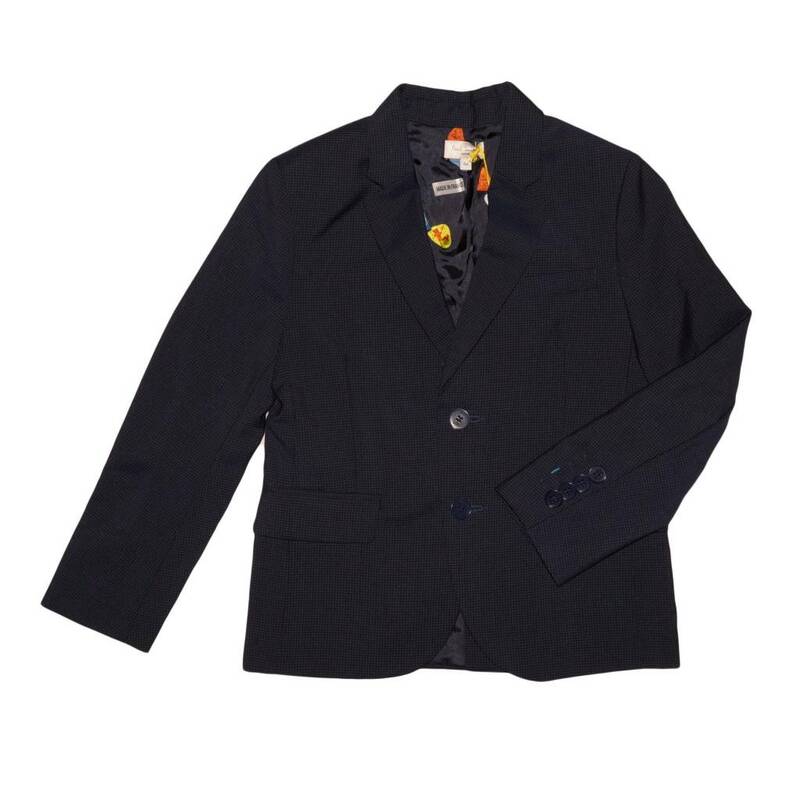 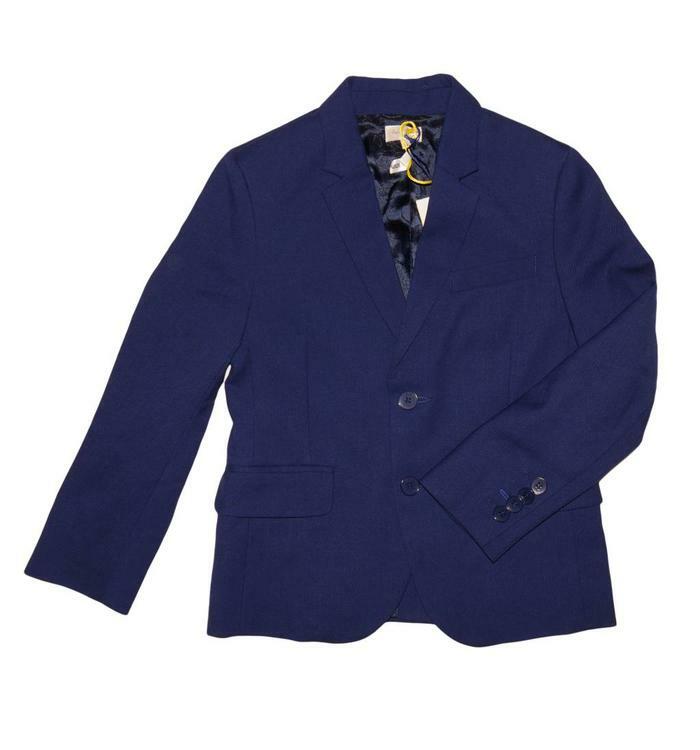 Navy blue blazer a classic slim fit with two pockets. 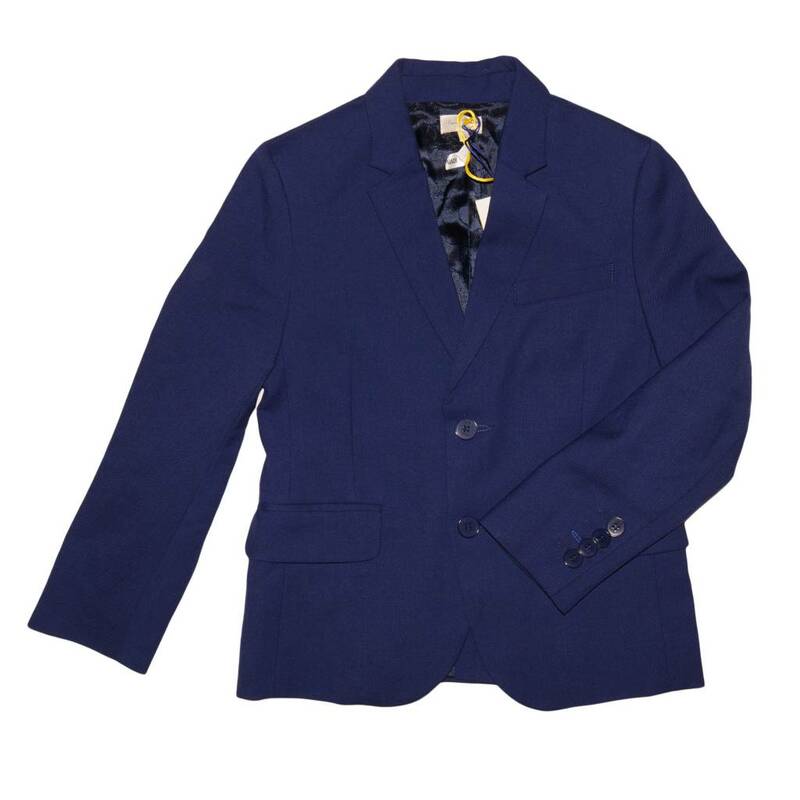 Navy blue little checkered blazer with two buttons. 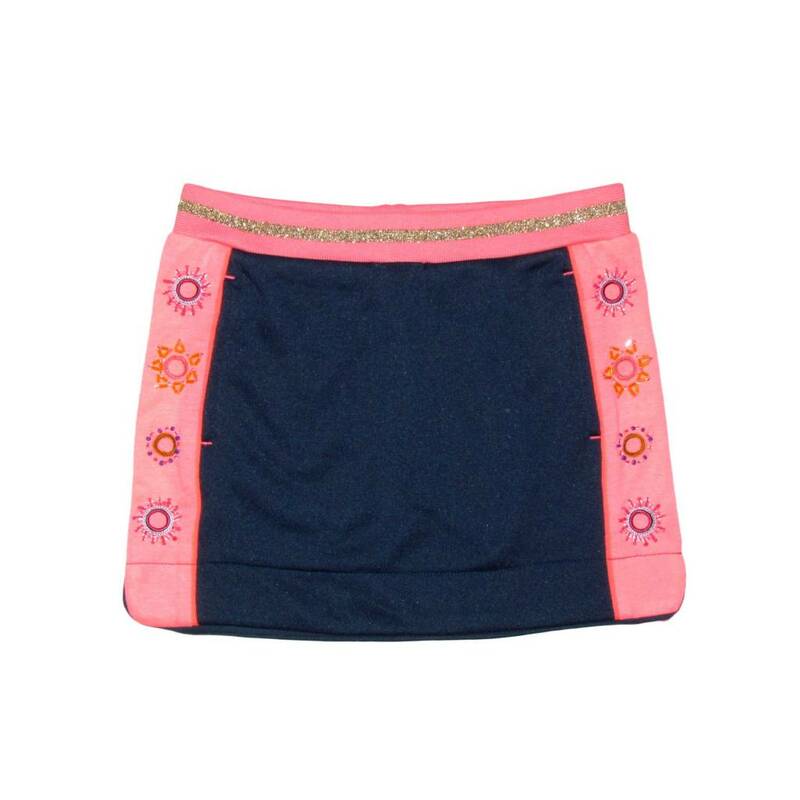 Navy blue and pink mini skirt with side detail beading and some gold trimming at the waist with two side pockets.